Here's a screenshot of our post. Now, Rich Miller at Capitol Fax is using it as part of his 'caption contest'. 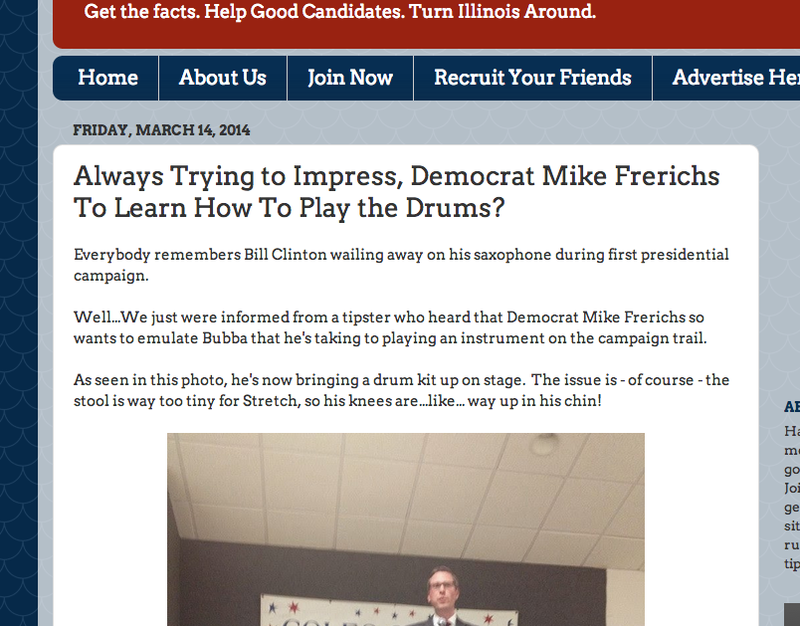 For those of you who like to pile on Mike "Tall Tales" Frerichs, you'll enjoy the comments. Head there now.